How to watch Teenage Mutant Ninja Turtles 2 (2016) on Netflix USA! Sorry, Teenage Mutant Ninja Turtles 2 is not available on American Netflix, but you can unlock it right now in the USA and start watching! With a few simple steps you can change your Netflix region to a country like Pakistan and start watching Pakistani Netflix, which includes Teenage Mutant Ninja Turtles 2. We'll keep checking Netflix USA for Teenage Mutant Ninja Turtles 2, and this page will be updated with any changes. 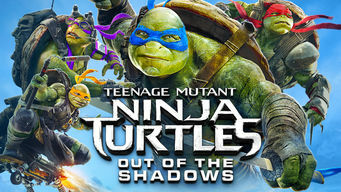 Teenage Mutant Ninja Turtles 2 is not available in USA BUT it can be unlocked and viewed! Aided by April and newcomer Casey, the Ninja Turtles fly into action after Shredder escapes prison and plots to take over the world with evil Krang. What would a Ninja Turtle give to be human? When evil threatens, will the lure of a normal life prove too great? There is a way to watch Teenage Mutant Ninja Turtles 2 in the USA, even though it isn't currently available on Netflix locally. What you need is a system that lets you change your Netflix country. With a few simple steps you can be watching Teenage Mutant Ninja Turtles 2 and thousands of other titles! Watch "Teenage Mutant Ninja Turtles 2"